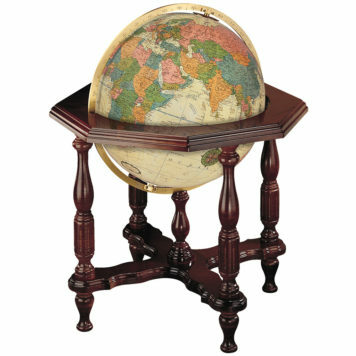 High atop its handsome wooden floor stand, the Commander II summons the attention and admiration of all who see it. 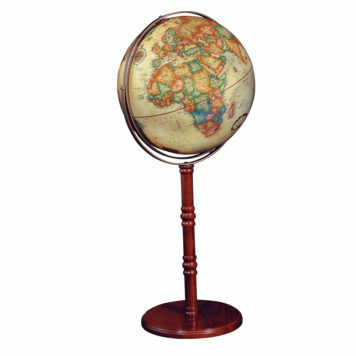 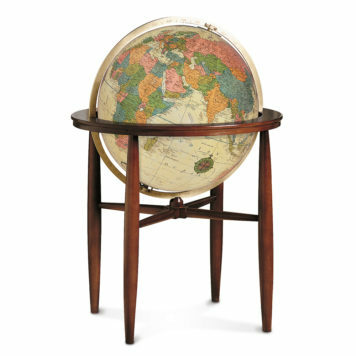 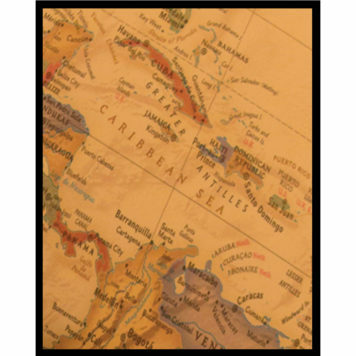 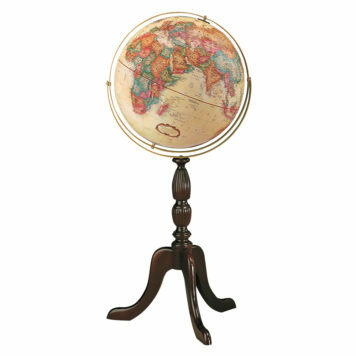 Featuring a 16″ diameter, this antique-style globe combines cartographic excellence with style, lending grace and intrigue to any environment. 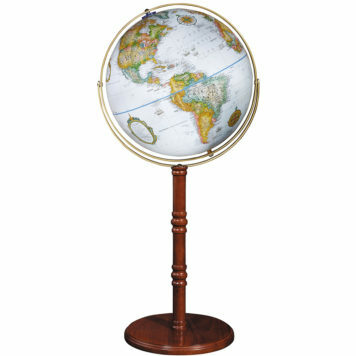 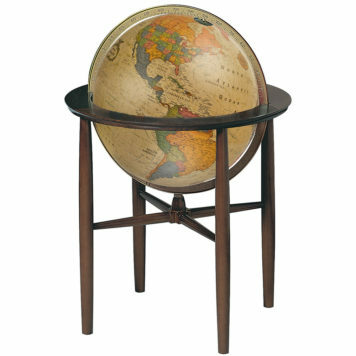 By simply removing the centerpost, it converts from a 38″ floor globe to a convenient table globe.